In early 2012, a Maine-based hospital was “on a skid” and in the red $2.5 million. Many employees at the underperforming, 1,700-employee Pen Bay Healthcare Medical Center in Rockport, Maine, said they had been working under strained relationships, where there was often disconnect between them and supervisors. Wade Johnson, who served as president and CEO of the hospital from January 2012 to April 2014, stepped in to develop new workplace engagement and job fit strategies based off TTI Success Insights’ TriMetrix HD and job benchmarking solutions. His goal was to increase employee morale and executive leadership, thereby addressing the hospital’s rising deficit. One year after implementing these strategies, Pen Bay turned a profit of about $4.5 million, according to Johnson, who worked closely with Value Added Associates Ron Price of Price Associates and Whit Mitchell of Working InSync in the turnaround process. Similar team-building solutions, including communication cards that spelled out specific “dos” and “don’ts” for employee interaction, were also developed for the hospital’s roughly 100 managers and directors. Indeed, a concept in assessing individuals’ behaviors and motivators that initially seemed “out of left field” for many employees ultimately made clearer their daily expectations and how to meet goals. And, more importantly, through increased employee engagement, patient satisfaction also improved. 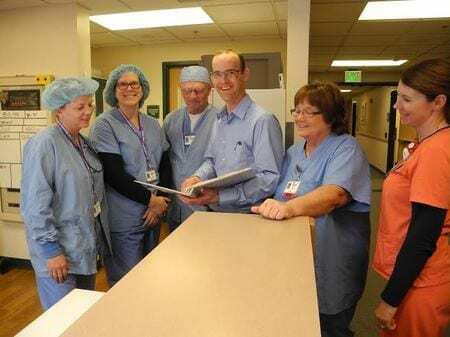 Johnson, who stepped down in April to become CEO of Walter Knox Memorial Hospital in Emmett, Idaho, said Pen Bay now administers the TriMetrix HD solution to all candidates vying for executive leadership positions. He now understands the inherent value assessments provide to organizations large and small.